Imran Khan, the Prime Minister of Pakistan was in Turkey for a state visit two weeks ago. With the visit, eyes turned to Turkey, which offers visa-free travel opportunity for Pakistani citizens. Turkey grants citizenship opportunity to foreigners who purchase properties or land for a total of minimum $250,000 and in 2018, the number of people who preferred Turkey increased 78% year on year, exceeding 40,000. Some of the factors that bring Turkey to the forefront include: trade opportunities, high quality residences at attractive prices, free education possibilities and top-quality services in healthcare. As Pakistan's direct investments in Turkey rose to $600 million, trade volume also reached $497 million. With the signing of the Free Trade Agreement, this trade volume between the two countries is expected to increase significantly. Given the influence of historic bonds between the two countries as well, 1,468 Pakistanis emigrated to Turkey in 2017. 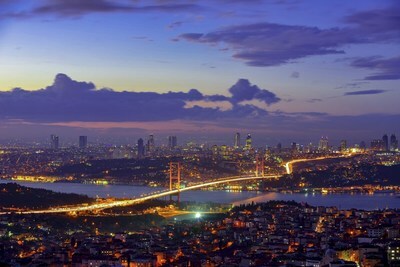 Among 38 OECD members, Turkey is one of the countries with the most attractive property prices. The average square meter price of residential properties is $730 in Turkey whereas this figure is in excess of $1,110 in European Union countries. Furthermore, Turkish residential property industry, which has the highest construction quality in this geography, offers several living spaces and residential projects in new and different concepts depending on changing living standards and needs. Antalya Homes, helped thousands of people from 74 countries to become home owners in Turkey, manages all property buying transactions and facilitates the process for foreign investors. Bayram Tekçe, Chairman of Antalya Homes, said, "People that wish to obtain Turkish citizenship are not required to purchase one single residence or land. They can actually buy multiple properties amounting to at least $250,000 in total. Furthermore, property buyers can initiate citizenship procedures for their spouses and minor children as well. Antalya Homes help all citizenship procedures of home owners with power of attorney."